Our fantastic flu team are now offering appts. We are very grateful to those of our patients who took the time to complete the survey and provide us their useful feedback. We handed out approximately 250 questionnaires and received 191 back – 76%! Of course, a survey such as this can only represent a snapshot at a point in time, but overall the findings support what our patients tell us informally year-round, and it is good to know that a substantial majority of those we look after view the service we provide so positively. We also understand that there are things we can do better, and the results, and particularly the comments we have received, give us so obvious themes to work on. We frequently find our appointments under pressure, a trend reflected everywhere locally and nationally, and we appreciate the frustration of not always being able to get the appointment you want, just when you want it. This is reflected in the comments about the difficulty of making an appointment, and the difficulty of accessing the doctor of your choice. We try very hard to offer a mix of “same day” and pre bookable appointments, but in recent times patterns of demand have shifted meaning we are continually having to look at the balance between these. In meeting the increase in on the day demand, we have had to reduce the proportion of pre booked appointments, but we are determined not to abandon these altogether as has happened elsewhere as we appreciate the value of being able to plan review of continuing conditions and evolving illness. To put this in context our demand for “emergency” appointments alone—the most pressing form of same day appointments, almost doubled in the early months of 2018 compared with 2017. 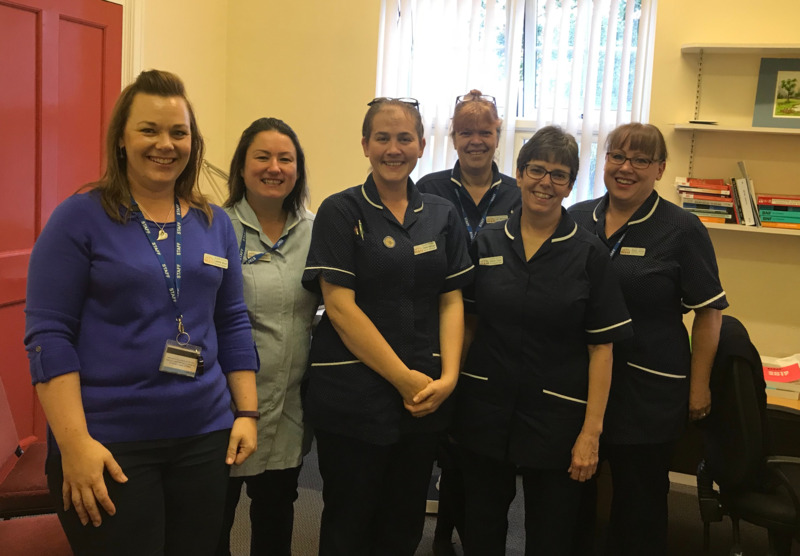 We are working with the CCG and the practices in our Neighbourhood Team to provide additional appointments in the evenings and at weekends which we hope will give patients greater choice and better access. It is interesting that we have a comment about the cost of form filling. We have to point out that completing forms for insurers, gym memberships, non-attendance at school and a dozen other indications are not medical tasks covered under our duties to the NHS. We believe our fees are both reasonable, and broadly in line with other providers, and are proportional to the benefit our patients derive from their completion. We try very hard to reconcile and rationalize repeat prescriptions, but as conditions and treatments change inevitably these prescriptions become uncoordinated. We encourage regular medication reviews to try to address this, and have two clinical pharmacists working with us now who are working to help with all aspects of medication review to address this concern. It is gratifying to learn how well acquainted with our systems the majority of our patients are, but though 88% are aware of online services far fewer are registered to use them. We will continue to promote this and encourage patients who can to register. In doing so we feel they will have easier access to appointments, and this in turn will free up more time on the phone lines, which have become increasingly busy. We are also working with the CCG and our Neighbourhood Team to improve our telephone system, and hope that this too may improve access. We welcome all feedback, as it will help us to continue to improve the services we offer, and are very grateful for the support we receive from the whole practice team, and particularly our patients. The CCGs have produced a survey around improved primary care access for patients. As part of a national initiative, we want to look at how we can improve access to healthcare by offering routine appointments outside the core hours. Please complete the survey below. Elgar House has been accredited as a veteran friendly GP practice. Please see the information opposite. Dr Pike, Dr Dior, Dr Newman, Dr Smith and Dr Shah. Dr Kondratowicz, Dr Bergin, Dr Reeves, Dr Bulchandani, Dr Khanum. We are proud of our new patients' charter. Please see further info in our policies section. You may have noticed that we now ask for a brief outline of your problem when you call to make an appointment at the practice. This isn’t because our practicestaff are nosy but it’s a new approach that we call healthcare navigation. For example, we often get calls that can be dealt with by the practice nursing team, the practice pharmacist, sometimes thesecretaries, that you may not be aware of if you haven’t visited the practice in a while. Please see healthcare navigation tab for further information. Will be joining Elgar House as a full time salaried GP in September 2017. Will be leaving Elgar House on Friday 30th June 2017. Do you live alone or are caring for someone else? Is debt or housing something that causes you to worry? Do you feel isolated? If so ask your doctor or nurse about Social Prescribing next time you see them. Age UK now offer a new service called Reconnections, which is aimed at reducing loneliness. They work with individuals on a one to one basis, helping to improve confidence and finding activities and interests to suit everyone. If you would like to be referred please ask either your nurse or doctor. We learned with great sadness of the death of Dr Alan Ritchie who will be fondly remembered by many. He died after a brief illness on the 28th March at home and surrounded by his family. Alan was the senior partner when I joined the practice in 1990, having already been with the practice for over 25 years. All who worked with him remember his wit and wisdom. I was particularly grateful to him and to Barbara his wife for taking me under their wing in my early years in the practice. Alan was a great source of help and inspiration, and whenever I had need to ask him about a patient I had seen he could tell me their family story, often going back two or three generations, and his guidance was always of great help with their present problem. I will remember him most for his wisdom, but also for his unfailing good humour, and his love of the golf course, an occasional wee dram, and his evident care and compassion for his fellow man. If you would like to convey messages of condolence we would be very pleased to pass them on. Dr Adrian Williams has now retired from the partnership at Elgar House. He will however be returning in September to work on Tuesdays and Wednesdays as a salaried GP. Dr Laura Reeves will be joining us as a salaried GP in August. Dr Meeraj Shah who currently works at Elgar House on Mondays only, will be joining us as a full time salaried GP in October. Today our practice reception staff were abused and sworn at. Sadly this is no longer that unusual. Today the patient swearing at them was visibly drunk, drugged, or both, and was over 30 minutes late for their appointment. When politely requested to rebook they became abusive, and were then witnessed removing a razor blade from a packet, before continuing to verbally threaten our team. Despite the threats the team evacuated all other patients from the waiting room to a place of safety and contained the aggressive man until the Police could be called. Just before the arrival of the officers the patient then departed the building, swearing all the way. This is the first time in my career such an overt threat has been leveled at my staff, but it is indicative of the environment we now work in. The vast majority of our patients are very supportive of us and we are immensely grateful for this, as we are for the support of all those who were affected by today’s incident. We are all very appreciative of that support, and I am particularly grateful for the dedication and professionalism of our practice team, who do not deserve to be treated in such a way by anybody. I am posting this message as a thank you to our whole team, and because I thought you our patients should all be aware of the difficulties they now face in trying to look after all of you and keep our practice running smoothly despite the challenges thrown in their way. If you would like to demonstrate your support for them I would be grateful if you would take a moment to complete a Friends and Family test, or leave a comment with NHS Choices on their website http://www.nhs.uk/pages/home.aspx . With effect from 1st April we will be offering a new and improved appointment system. We have listened to your comments and have improved our system to make more appointments available to book on the day. We believe it is also important to have pre-bookable appointments so we will also be offering appointments to book one week ahead and four weeks ahead. Our nurse appointments will remain unchanged. We will be making all morning appointments available from 8.45. You can telephone or come in to reception to book one of these. Alternatively, if you have registered for our on-line services you can book these on-line. We will be making afternoon appointments available from 1.00. You can telephone or come in to reception to book one of these. Alternatively, if you have registered for our on-line services you can book these on-line. As, I am sure you will be aware, our telephone lines will be extremely busy during these times. Please be assured that we will have extra staff answering your calls. If your call is not related to an appointment for that day, please try to avoid phoning early morning or early afternoon. Demand in the NHS is at an all time high. This is reflected in rising demand for appointments. We are as frustrated as you that we cannot offer routine appointments any sooner. We are actively seeking to recruit extra doctors to help but there is a national crisis in GP recruitment which has been worsening over the past two years and looks unlikely to end soon despite what you might hear about extra GPs being trained. Please be patient with our staff who are doing the best they can to offer you the appointments you want. They are not responsible for the national or the local shortage in GPs and neither are we. At a time of unprecedented stress in the system we need your support more than ever and this starts with simple courtesy to our hard working and dedicated practice team. We are very grateful for your patience, and wish to assure you that we are trying our best to make more appointments available as quickly as we can. Please see the attached letter from the Local Medical Committee to all our patients.